A Q&A with Strevus co-founder and CEO Ken Hoang. The San Francisco-based startup, which is a regulatory risk management platform for financial institutions, announced the closing of a $5.6 million Series A funding round in late February from Blumberg Capital, U.S. Venture Partners, and Angel investors. It was founded in 2012 by Hoang, CTO Jeff Sidell, and Greg Danforth, and previously raised a round of Angel investment. SUB: Please describe Strevus and your primary innovation. Hoang: Strevus provides a secure regulatory compliance and risk management solution that enables financial institutions to facilitate communication, validation, and reporting of information between their clients, counterparties, and regulators. As a managed solution, Strevus regulatory compliance applications extend and integrate with current infrastructure investments to create a persistent, secure, and auditable communication channel between counterparties, and a central repository to manage and track critical information assets. By using Strevus, organizations can connect to the right people the first time to get accurate information. Hoang: Our primary targets are investment banks and capital market institutions. Typical users are those that gather client information and perform client due diligence on their customers from a business opportunity and risk perspective. These institutions are challenged because they need to gather a myriad of information from clients to adhere to FATCA, Dodd-Frank, AML, KYC, etc. SUB: Who do you consider to be your competition, and what differentiates Strevus from the competition? Hoang: There really is no front runner in the global compliance space. Most large banks continue to try to build their own solution at great cost, or use limited tools like Excel and SharePoint. Other solutions have capabilities for compliance, but they are built to address a single department or enterprise. They also don’t address the systematic need for transparency and security of information while reducing the amount of repetitive client outreach. As a part of our regulatory capability, Strevus brings all the public and private data required for regulatory compliance into one location, including legal entity information from third parties and clients as well as data distributed internally. Financial institutions can track what data they have, who has access to it and what data they are missing. Strevus also provides a persistent communication channel for all compliance-related information and exchanges. The information can be entitled to specific people or departments. Also, with an audit trail, the entire communication process can be tracked from start-to-finish. Using Strevus, financial institutions can more easily and quickly achieve regulatory compliance, reduce operational costs, and provide a better client experience along the way. SUB: You just announced that you’ve raised $5.6 million in Series A funding. Why was this a particularly good time to raise more funding? Hoang: We have our core product built, and now are rapidly going to market to help financial institutions address key regulatory deadlines in 2014 like FATCA and EMIR. SUB: How do you plan to use the funds? Hoang: We will use this round of funding to support our aggressive growth plans, to support the ongoing build out of our solution and global expansion. SUB: What was the inspiration behind the idea for Strevus? Was there an ‘aha’ moment, or was the idea more gradual in developing? Hoang: I’ve been in the data space for more than 20 years. At my last company, Siperian, I saw numerous customer issues and problems around compliance, yet the right solution didn’t exist. In fact, most financial services organizations attempted to handle these challenges internally. After the 2008 financial meltdown, the world has changed significantly in terms of financial regulatory compliance. We saw a great opportunity here to combine new technology approaches with our data expertise to address a need in the market and, in fact, there is no global compliance leader in the market today. With so many global financial regulations, such as the IRS’ fast-approaching FACTA rule, organizations need a way to quickly-and-easily comply with these laws or run the risk of exorbitant fines—or worse, being frozen out of certain capital markets. Hoang: We started by assembling our ‘dream team,’ which consists of proven entrepreneurs and industry experts to help us focus on execution. We went back to enterprises that were previous customers and looked at what they were doing for compliance in order to understand their challenges. In addition, we brought in the right backers to bring enterprise credibility to the organization—people like Terry Garnett, Zach Nelson, John Chen, and institutional investors like Blumberg and USVP. 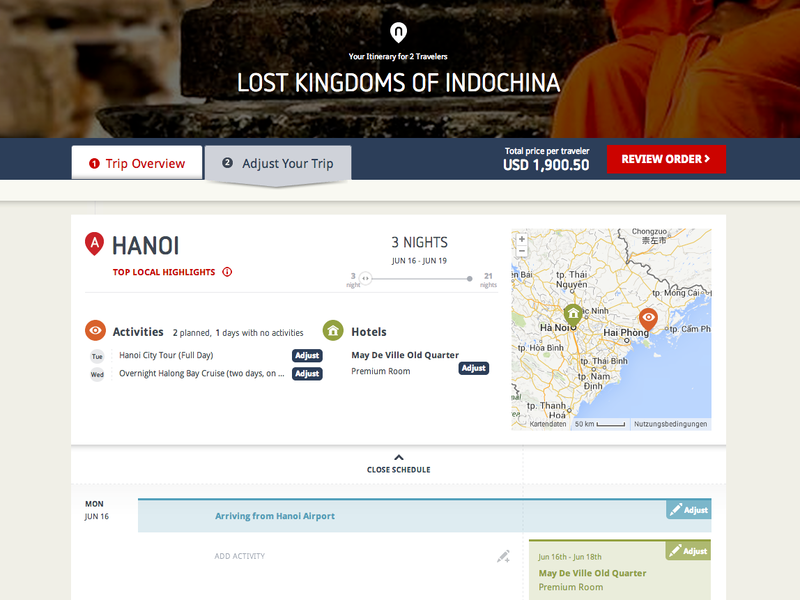 Hoang: We crowdsourced the name and it worked well, as we considered thousands of names within a short period of time. SUB: Do you have plans to seek additional outside funding in the near future? Hoang: Yes, we have plans to grow quickly and may need additional capital to become the market leader in this category. Hoang: Education. We are educating our customers on what the new regulations require, as well as how we can help them by using a new disruptive approach. The natural tendency for financial institutions is to either build a system or use brute force manual processing. Hoang: By selling our solution through a subscription model and associated services. SUB: What are your goals for Strevus over the next year or so? Hoang: Over the next year, we’re looking to create a very successful customer base with proven ROI that is at least a magnitude in cost savings over any other approach. We also plan to demonstrate the substantial business benefits that can be achieved by improving the customer experience and relationship. We want to prove that compliance can be easy so banks can innovate again.